SM Malls Pre-Holiday Nationwide SALE happens now until October 31, 2017. Get up to 70% off on selected items mallwide! 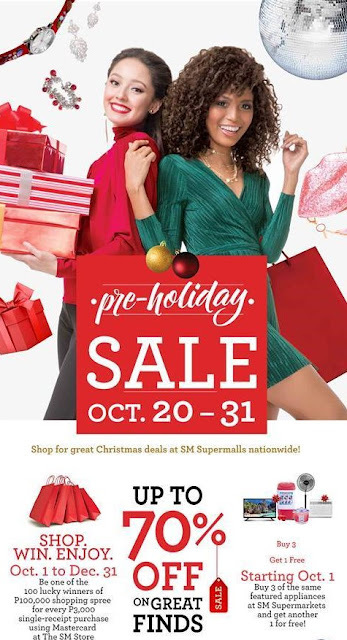 Head over to your favorite SM Malls now! Plus...get the chance to WIN P5,000 worth of gift certificates for your holiday shopping needs - just sign up HERE.